It’s been a minute since I’ve take the time to update here. I think about it, but as I’ve been explaining to my therapist… I have a real motivation problem. She says I’m not depressed anymore, she’s pulled the diagnosis. However, I’m not so sure. It’s not an all encompassing depression, but I certainly think it still lingers. With that, I look at so many things and think, “I should be doing that.” I should be cleaning the house, I should be trimming the bushes, I should have Hunter’s room finished. It is what it is. So it’s been a big week for trans people everywhere. Bruce Jenner finally comes out and says it on national TV. He still wants to be referred to with male pronouns for now. That’s fine, it’s his own decision. I feel weird referring to anyone who says they are a woman as “HE.” I get upset when people refer to me as he, him, sir, etc. Pronouns and being misgendered is my biggest peeve currently. I totally understand where it comes from, I mean I certainly look like a man most or part of the time. Unless I slather on about 2 lbs of foundation, my beard shadow is a dead giveaway. My voice hasn’t changed. So I sound like a man. That’s another thing that falls under the “I should be doing X” category. It’s just very hard, progress doesn’t come instantly, and I’m embarrassed to do it anywhere someone else might hear me. On the positive side, I did finally get my name change back. I have a new updated drivers license, social security card, and I’ve even managed to get one credit card re-issued. Yay! I started writing down everyone that I need to call and or write, and it’s a staggering list. Especially for someone with motivation issues. Another item for the positive category, I had my follow-up with my new Endocrinologist. New Endo is SO MUCH better than the old endo. After rechecking my blood with about 8-9 vials drawn, he’s upped my Estradiol. He’s also added in Medroxyprogesterone (Provera) and Spironolactone. The Provera is supposed to help with breast development. Preliminary anecdotal evidence says that it’s working. I say that because while I haven’t noticed much in the way of growth, they are very tender. That’s a good sign. The Spiro is actually a blood pressure med, but it’s used off-label as an Androgen Antagonist. That is, it helps reduce testosterone. The doctor said that even after a month on Estradiol alone, my T levels were still pretty high. This morning, I had my fifth session of laser on my face. After the 4th session, I’m certainly seeing some serious slow down on the re-growth. I’m hoping to see more progress on this session. I have one more pre-paid session left. 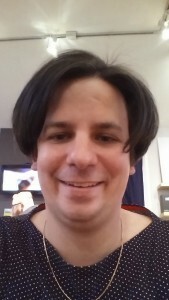 After that, I’m not sure if I will continue this course of treatment or switch over to electrolysis. I’m kind of scared of electro, because it seems pretty painful. I’m so tired of shaving my face, and even more tired of the beard shadow that doesn’t go away with shaving that I can justify the pain though. We’ll see. I’m trying to think if there’s anything else exciting going on that’s transition related. Not coming up with anything.. I’ll write more later, maybe. HA. I also forgot to add that I got my ears pierced on Saturday. Something that Megan and I have been sort of at odds with for a while, I’ve been wanting to do it for sometime. In any event, once we were done with pictures, I paid some lady at the mall to push little rods of metal through my flesh. All in the name of femininity! So in the last week, let’s see.. what’s happened? Most of the week was pretty standard. 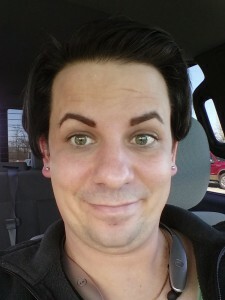 On Thursday, I went to visit Focus and get my hair and eyebrows done. These folks are awesome, and I’m in love with them. Let’s just be honest. Hair and Brow game on lock. Friday night, I went out with Lee, Dustin and Jesse to Rubbie’s in full fem. This is the first time that I’ve been out with them as Addison. It was nice to be out as myself. Nothing special to report in terms of that. I used the women’s restroom without incident. Sadly, this is seems to be news worthy to me. My ability to pee in peace seems to be the most important part of an outing to me these days. Seems silly, but sadly true. Pictures were fine, I love our photographer. She’s really great. However, it felt really weird for me to jump back to being Sean after being Addison. It’s hard for me, kind of sends me back in to a place of dysphoria. After that, I dropped Megan and Grayson at church for the yearly easter egg hunt. After I dropped them off, I went to Best Buy and picked up a very expensive electric shaver. My mom suggested I might have better luck with electric. I bought the Braun 7 Series, which is the highest rated per Google and Amazon. It’s terrible. If this is the pinnacle of electric shaving, we’re all doomed. 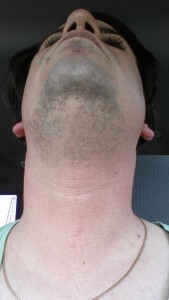 That’s about an hour after I shaved. Mind you, this after 4 laser treatments. My regrowth is pretty slow. So… I think that shaver is going back. So, that’s Saturday. Aside from Kentucky losing.. not much to say. Oh, wait. I changed my name on Facebook from Sean to Addison. I’m facebook official! Sunday, we went to church. My first time as Addison. First time in church wearing a dress. I did not burst into flames. There were some glances, I’m sure a comment or two, but no incidents. A number of hugs and handshakes. I avoided the restroom on purpose. I had to pee, but I really just didn’t want to find out how “Barrier Free” they were. When we left, I commented to Megan that I didn’t burst into flames. We’ll call that success. Next came dinner at Grandma’s. Still in the same outfit. The ladies were more supportive than the men. A couple compliments from the ladies. At best, the men ignored me. At worse, use of male pronouns and my birth name. Being referred to as “big guy” really gets the estrogen flowing. Ya, know? Whatever. It’s a process… at least that’s what I keep telling myself. So, that brings us to today..
Today I had my first appointment with Dr. Poorkay. I had been looking for a replacement doctor after being treated fairly unprofessionally by Dr. Winters at U of L Physicians. I was pretty impressed with Dr. Poorkay. He seemed to be genuinely more interested in helping me get to what I’m trying to achieve. 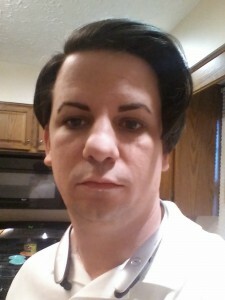 He pretty much confirmed that Dr. Winters is either ignorant of the proper protocol for treating male to female transsexual clients or he’s delaying our transition on purpose. I believe it to be the latter. His comment was “Why would he do that?” when I explained that Dr. Winters refused to prescribe me Spironolactone. I couldn’t answer that question. I explained that Dr. Winters told me that he believed that if he gave me an androgen antagonist that the body would up the testosterone production and cancel out the effects of the medication,. Pretty much all of the available literature suggests that just Estradiol (estrogen) by itself will not do much, unless prescribed at fairly high doses. 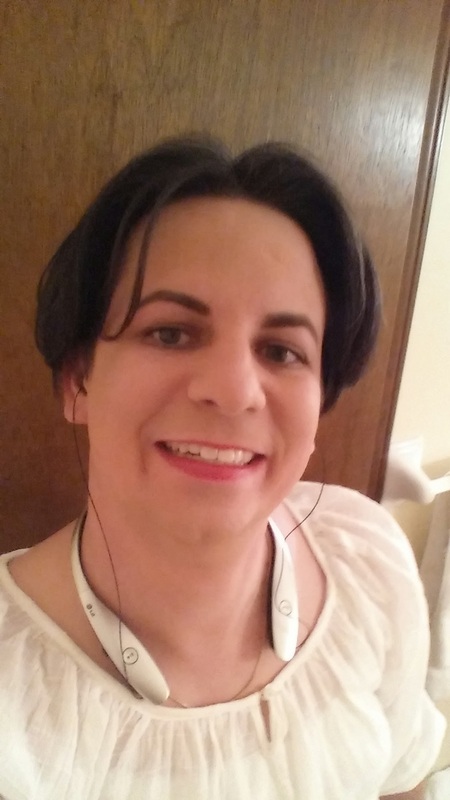 At my 1mg twice daily current regimen, I’m not likely to see much in the way of female puberty. Unfortunately, despite having all my records from Dr. Winters blood tests, Pookay still wanted to do some additional testing. Winters did not test my estrogen or progesterone levels, only my testosterone. So, we’re doing blood work again. Due to how busy this practice is, it’ll be a week before we get results back from the lab. I have a follow-up appointment with Poorkay for the 21st, at which point, I’m expecting him to raise my dosage of Estradiol and add Spironolactone along with some sort of Progesterone. He says I won’t get the breast development that I’m looking for without the progesterone. Based on his interest on my own goals, I think I’m going to be happier with Dr. Poorkay than I have been with Dr. Winters. I’m unhappy with the 2 week delay on getting started with the correct regimen, but it’s better than the 7 weeks I had with Winters… only to get less than half of what I expected. The two weeks is actually not that big of a deal, it’s more that I’ve been working on getting to this point since December.. which means that if I get scripts on the 21st, I will have invested nearly 5 months just to get HRT. So that’s what’s wrong with trans healthcare in the USA.